The work of picking a cabinet is done, said Hatoyama Yukio Sunday. He is scheduled to meet with Ozawa Ichiro Monday to finalize the lineup. If that is in fact the reasoning behind Ozawa's opposition, then we're already seeing the potential downside of Ozawa's becoming the single greatest veto player within the DPJ, the "hyphen" between cabinet and ruling party. Ozawa's grudges should not be the basis for making cabinet appointments, especially one as important as the finance ministry — and a potential minister as capable as Fujii. Indeed, we can add another qualification to Fujii's already lengthy list: a willingness to stand up to Ozawa. This is precisely the quality that Hatoyama will need in a senior member of his cabinet. In the process, the appointment of Fujii is the first test of whether Hatoyama can control Ozawa and force the incoming secretary-general to adhere to the will of the incoming prime minister. Fujii is certainly speaking like a finance minister, with recent remarks about the DPJ's plans to roll back the Aso government's stimulus spending (see Ikeda Nobuo on the implications of these ideas in light of Keynesian economics). Perhaps Fujii's appearances discussing economic policy are a sign of Hatoyama's resolve to have Fujii in his cabinet. For now, these grumblings are not reason to write off the Hatoyama government, but they are developments to watch. The Hatoyama cabinet will certainly not be a cabinet of Hatoyama's friends, which may be better for the government, but it will take careful management by the prime minister and senior cabinet ministers. Hatoyama is going to have to discipline his own cabinet: if he cannot get them to relinquish their vetoes over every policy decision, his government will fail. If Hatoyama actually wants to include cabinet committees — there will, after all, be at least one, the committee for coalition consultations within the cabinet — then he and Kan Naoto (perhaps the leading advocate of cabinet committees) ought to provide more details for how they'll work, how many there will be, etc. Hatoyama will also have to address questions about what exactly he intends the national strategy bureau — Okada won't be the only cabinet minister wondering about how to relate to the office. With Kan in charge of the staff, I anticipate it will play more of a supporting role for cabinet committees than an entrepreneurial role in cabinet proceedings. 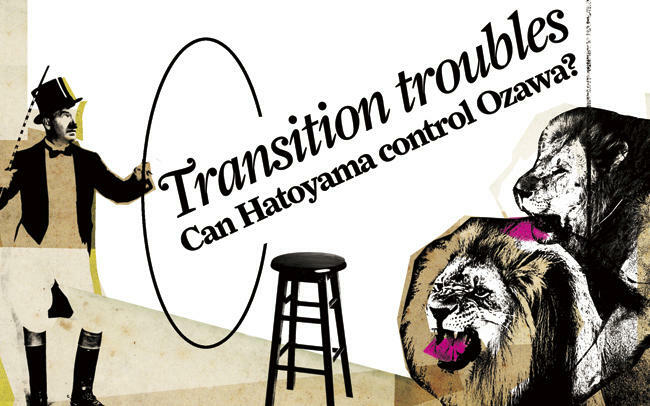 But with only two days until Hatoyama is scheduled to be elected as prime minister, there are many outstanding questions about how the Hatoyama government will actually function.